BREAKING: Laura Ingraham May Run For Senate – One Guess Against Who!? There has been a lot of discussion about upcoming political races. Hillary Clinton, for example, is rumored to be considering a run for mayor of New York City. Chelsea Clinton is likewise said to be considering running for Congress. And now another name has been churned out of the rumor mill: Laura Ingraham. Ingraham is most well-known for her media empire. She has worked as a talk radio host, appeared on cable news shows and has written several books. Now, she’s allegedly mulling a run for a seat in the Senate. According to the Washington Examiner, several party members have approached her about it and she’s considering the idea. Whose seat would she try to take? None other than Virginia Democrat Tim Kaine. Already, Peter Anthony, her business partner, has been arranging website domains for her senatorial run, including ingrahamsenate.net, ingrahamsenate.com, ingrahamforvirginia.com and ingraham2018.com. But she isn’t the only one with her eye on the seat. Republicans Barbara Comstock, Dave Brat and Carly Fiorina are all also interested. While Ingraham has no political experience, she has plenty of media experience instead. 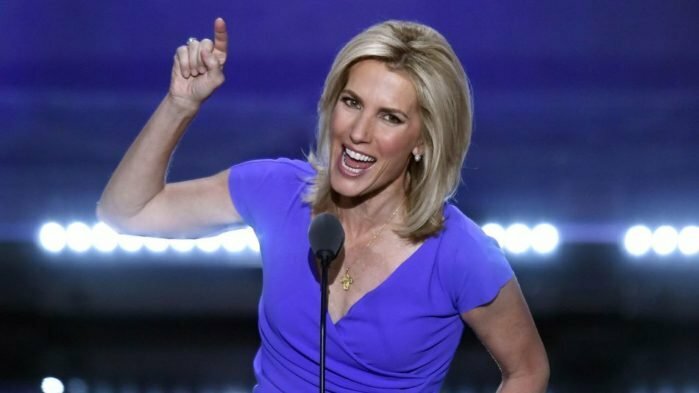 In addition to her books and her talk radio show, Ingraham is also a Fox News contributor and heads the conservative website LifeZette.com. Would you vote for Laura Ingraham?